You’ve heard about it, but you never truly know what it’s like to be impersonated on Facebook until it happens to you. You feel violated and angry, with a desire for justice. Someone is trying to steal your online identity. Something must be done. Fortunately, Facebook is well aware that catfishing and fake accounts are a common issue on its platform. 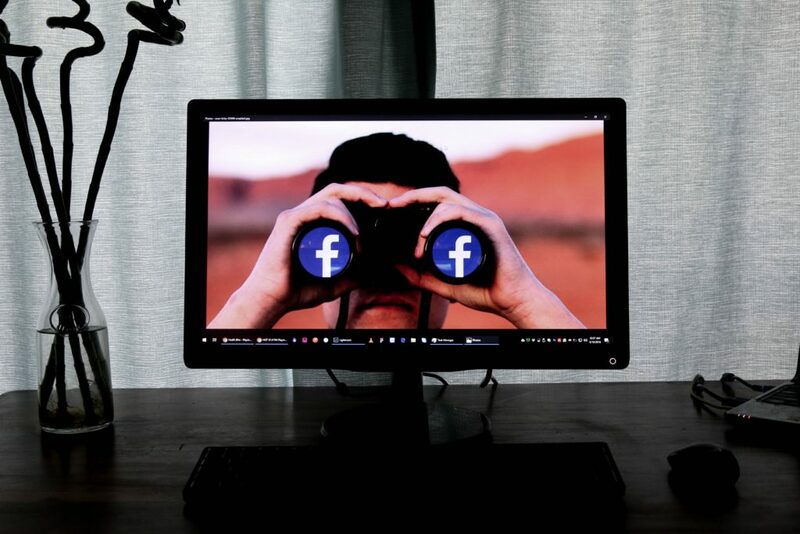 This article guides you through the process of reporting an imposter, whether you’re a business or brand, a public figure, or simply an individual who wants to preserve the integrity of your Facebook identity. To find out if someone is impersonating you on Facebook, Google your name. 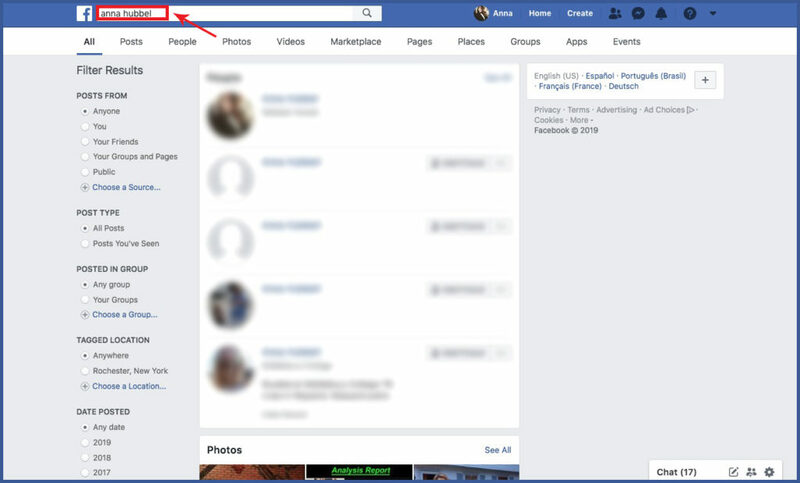 If the Facebook profile that appears in the search results links to a profile that’s not yours but uses your photos and other personal information, then you have an impersonator. You may also find links for two separate profiles with your name in the search results, one of which is probably an imposter. Click the links to find out. 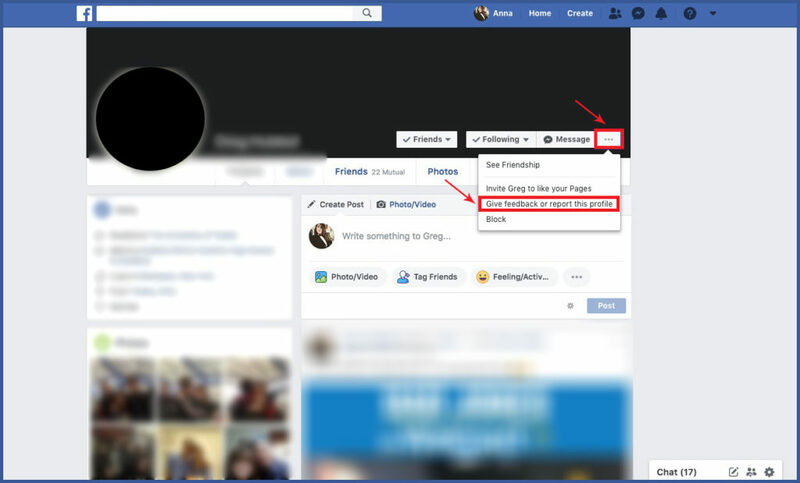 Friends may also notify you if there’s another profile with your name sending them friend requests. Tell them immediately that the profile isn’t yours and that they should report the account. If an imposter profile is pretending to be you, here are the steps to take to report it. Step 1: Navigate to the impersonating account’s profile. Search for the name the imposter profile uses or have your friends (if they spotted the account) send you the link. Step 3: Complete the on-screen instructions to file a report. If you discover an imposter account that copied your business or brand page, or you are a celebrity or public figure, you should get a verification badge. Facebook allows pages to request blue verification badges to let users know that your page is authentic. So even if the imposter page continues to roam Facebook, users will know it’s not really you if it doesn’t have the badge. Step 1: Acquire a copy of an official government-issued photo identification (example: passport, driver’s license, national identification card). Have it ready to upload from your computer. 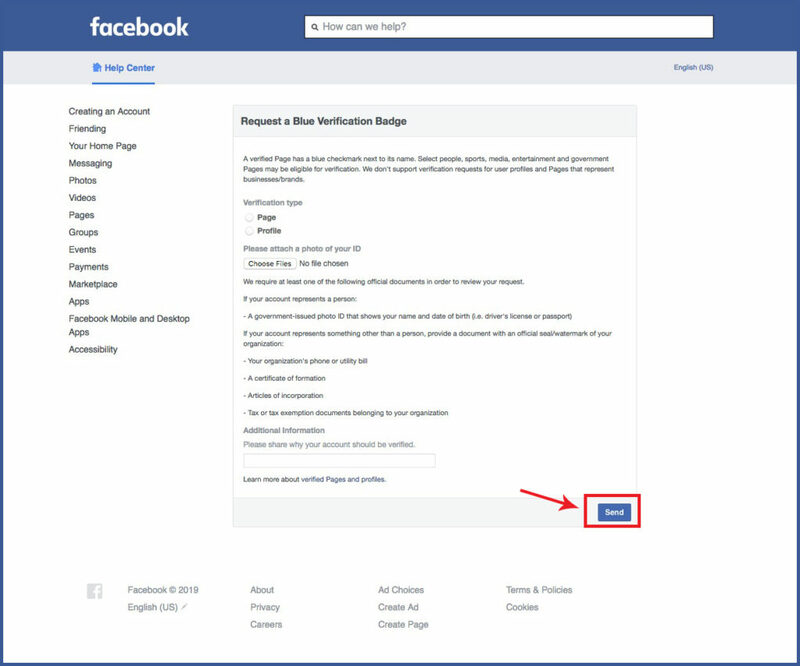 Step 2: Complete Facebook’s “Request a Blue Verification Badge” form through the Facebook Help Center. Step 3: At the bottom of the form, write a few sentences explaining why the account should receive verification, as well as relevant URLs that illustrate public interest for the account. Facebook will send you a notification when it reviews your request. You are only allowed to submit one request for your account. 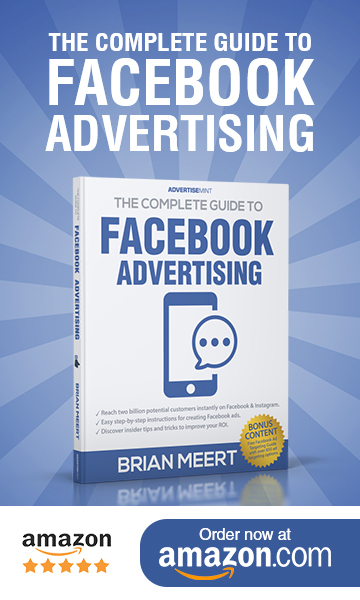 It can take Facebook anywhere between 48 hours to 45 days to process your request. If Facebook rejects your request for the verification badge, you will need to wait 30 days before submitting a new request. During that time, you should take extra steps to make your profile more complete and authentic, such as linking to your profile or page from your official website, Instagram profile, or Twitter account. 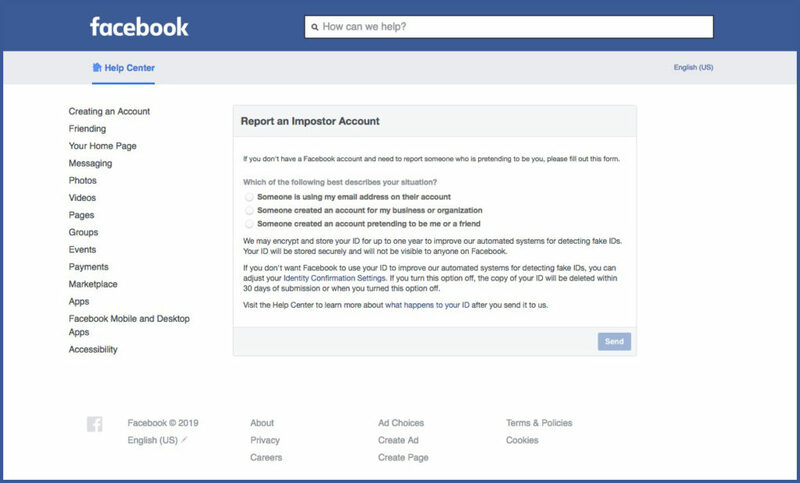 After you report an imposter account, Facebook will review the report and subsequently take action. Facebook does not allow impersonating accounts, so once it confirms the account is fake, it takes steps towards removing it. According to Facebook’s Help Center, your name and personal information will be kept private. Facebook will not share it with the person impersonating you. Facebook isn’t clear about how long it takes to review a fake account report or who reviews it. 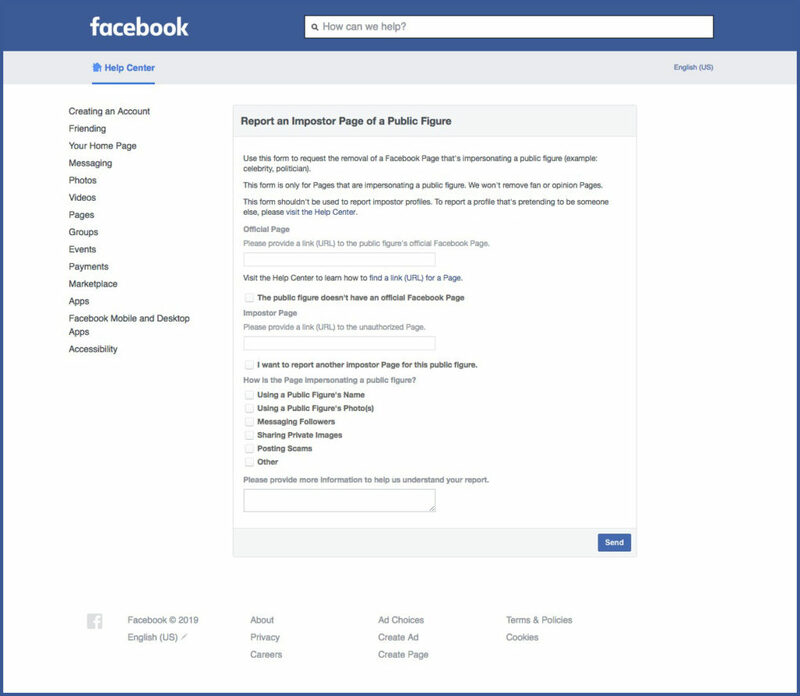 However, the online consensus says Facebook reaches out to the impersonator telling them to remove the account. 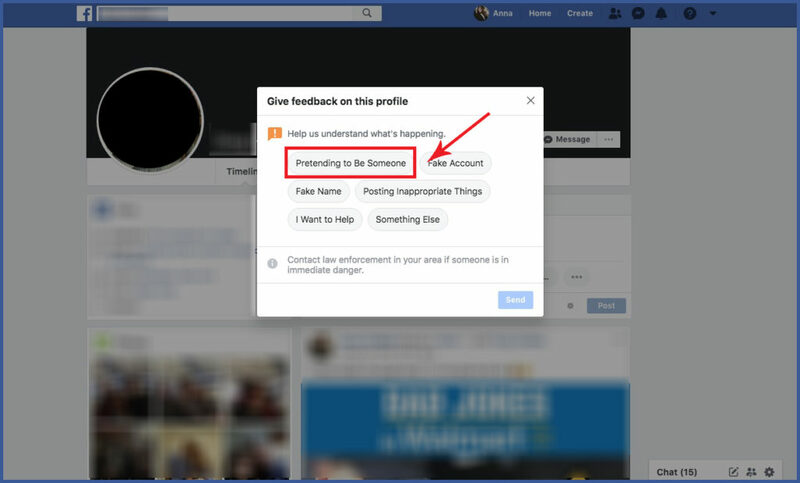 Additionally, Facebook may advise you to block the fake account so that the imposter cannot collect any additional personal information to use on its fake profile. Discovering that someone is impersonating you on Facebook may cause you to panic. But take comfort that the truth is on your side. Nothing can change the fact that you are the real you. Facebook wants its users to have positive experiences on its platform, so it will work with you to remove the impersonator. As long as you highlight the truth, that imposter will have no hold on you.